To help with styling, Jean Louis David is launching an innovative new three-step treatment to hydrate hair whilst providing maximum volume. Discover the new Volume Therapy ritual now. This three-step treatment is designed to boost fine hair after each application. All three products contain rice protein, which increases the hair’s diameter and provides a densifying effect. Keratin is also used in the products to offer strength and shine. The result? Hair is light and easier to style. The treatment starts with the Care and Tone Shampoo which, thanks to its active formula, rids hair of residues that weigh down the hair and acts directly on the roots. Next, Lightness and Density Lotion sheaths and nourishes the hair. Finally, the Texture and Hold Foamer helps with styling whilst adding body and density. 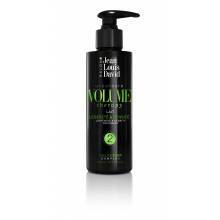 Its foam texture lifts the roots and prolongs the volume effect. 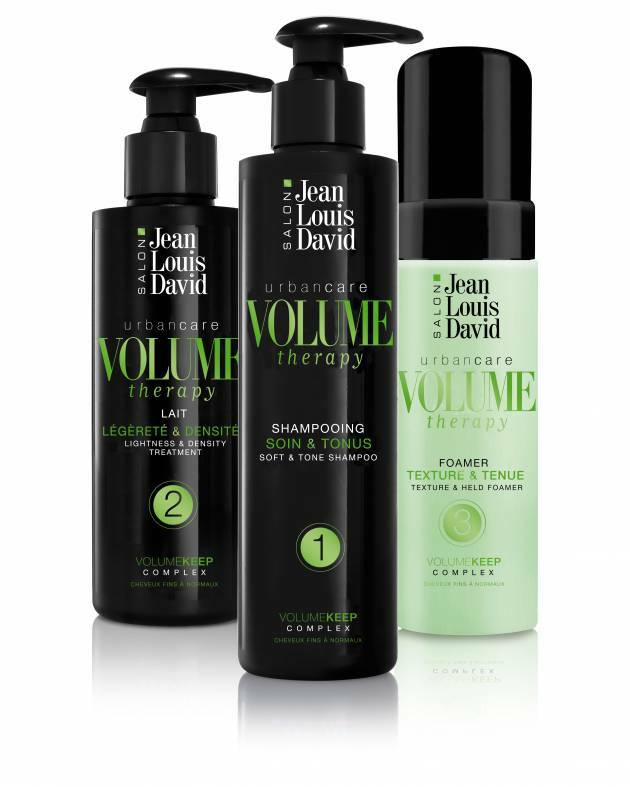 Head to your Jean Louis David salon now to discover these new products!